When you look at the Amazon Echo speaker in your kitchen, the Nest thermostat on your living room wall, the Ring video doorbell on your front porch, and the Philips Hue smart bulb in your ceiling, it's abundantly clear that our homes are getting increasingly smarter and more connected. The devices that connect to the Internet are much more numerous and varied than ever before. It's not just about your smartphone and your desktop computer; there's so much more than that. To this end, the terms "Internet of Things" (IoT) and "smart home" are oftentimes conflated and used interchangeably. If you're talking about all these "smart home" products, you're also talking about the Internet of Things and vice versa, right? Well, the real picture is actually much more complex than that and the ramifications are especially far-reaching for modern businesses. There are many assumptions that the average, everyday consumer has about technology. Some of these are right, but many of them are way off the mark. That's partly how so many wireless routers are left with their default SSID (how many times have you encountered a network simply called "Linksys" in your travels?) and password, if they're secured at all. And one very common assumption is that the Internet of Things is dominated by consumer-facing and consumer-oriented products like Google Home smart speakers and Belkin WeMo smart plugs. In truth, the exact opposite is true. A recent report indicates that over 90 percent of IoT devices are actually business-oriented. They're not in people's homes; instead, they're in offices and warehouses and retail stores. 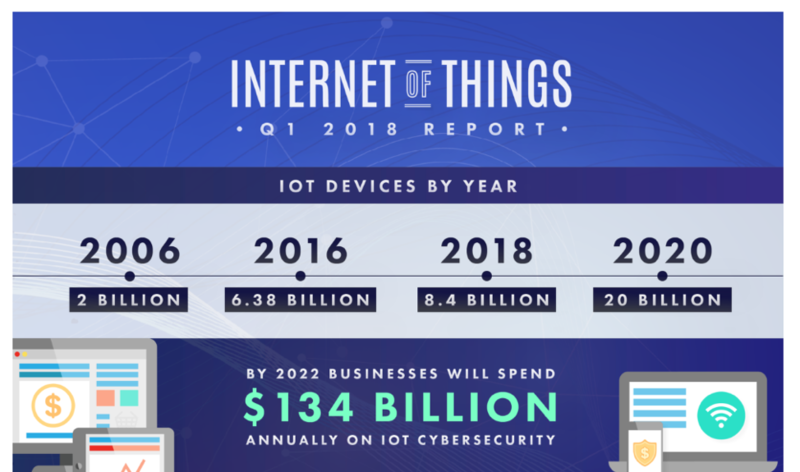 There are currently an estimated 8.4 billion IoT devices out in the world as of 2018, a number that's projected to grow to 20 billion by 2020. The global value of all IoT technology is expected to balloon up to $6.25 trillion by 2025. The Internet of Things is very much big business, and it's an even bigger deal to businesses of practically any size. To overlook this trend would be a grave mistake indeed. No matter how big or small your business might be, there are a wide range of tools and automation methods out there. For example, in the world of content creation, blogging, and outreach, you can use tools to outsource and automate tedious tasks that can take up several hours per day. This is just another example of how automation and business management is continually moving forward, and how those businesses that don’t take advantage of such technology, may quickly find themselves falling behind. In traditional offices even as recently as 20 years ago, IT management typically included physical access to all the technology that employees would interact with on a regular basis. The desktop computers were literally hooked up to their desks, so when it came time to update the software or install a security patch, the IT professional could physically work with the actual computer itself. Even with sales reps and other professionals working remotely with their laptops, the IT manager may eventually need physical access to that actual machine in order to perform any updates. The climate of technology has shifted considerably since that time, not only in terms of the sheer volume of devices, but also in the increasingly remote nature of work. Employees, contractors and collaborators may be located halfway around the world and you may never even see them in person. At the same time, you need to have the same level of "access" in order to distribute software, manage permissions, deploy patches, control access and more. And it's not just about the computer anymore. The employee may have a computer at the office, as well as one at the home office, plus a laptop, a tablet, a smartphone, a smartwatch, and a myriad of other devices. That's a big part of the reason why it's so important to have appropriate cloud management in place to handle such a challenging environment. IT managers need to be empowered to provide that kind of support -- and automate as much of it as possible -- in order to keep the company working effectively. They need a platform that ensures compliance with HIPAA, PCI, NCUA/FFIEC and so on, while also getting the necessary reporting in place for audits and comprehensive coverage. Again, cloud management makes this task infinitely faster and more manageable. Hacking, data breaches and other forms of cyberattacks represent a very real threat to modern businesses and overall IoT security. It's estimated that a typical cyberattack will cost a business somewhere around $1.7 million. This includes lost services, tech support costs, lost efficiency, IT damage and operations costs. This is remarkably significant, and it extends far beyond where you might expect to look. Going back to the notion of the "Internet of Things" and the "smart home," many businesses are overlooking the significant vulnerability of their IoT devices. There are an estimated 8 DDoS (distributed denial of service) attacks per day and the number of unsecured IoT devices are increasing exponentially. Indeed, DDoS attacks increased 91% in 2017 and a large part of this is attributed to the rise of IoT. That's partly because so many users, both personal and business, don't regard their IoT devices with the same level of scrutiny and attention as they do their "main" devices like their computers, smartphones, and network infrastructure. The truth is that the Wi-Fi-enabled multi-function printer is likely even more vulnerable to attack than the laptop next to it. For a business, these vulnerabilities can be everywhere. If you've got a smart TV or a connected set-top box in the employee lounge, that's vulnerable. If you use an IP telephone device for conference calls, that's vulnerable. The same is true with smart plugs, smart bulbs, smart thermostats, smart access control devices, and more. These IoT devices need the same level of security management if you want to protect your business from the potential disaster of a cyberattack. 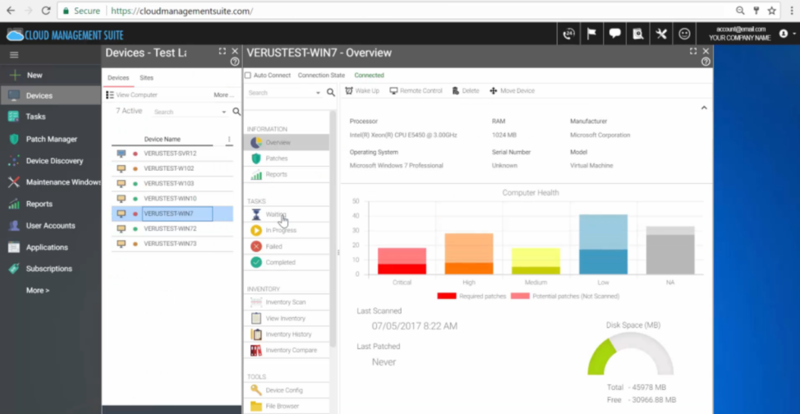 A leader in cloud management, Cloud Management Suite is the first IT management solution to discover IoT devices and roll them into the same security protocol as other devices. You might not even know everything that can connect to your network; this process of discovery ensures that no "back door loophole" is left unchecked. Security patches need to be distributed quickly, efficiently, and proactively to prevent an attack from ever happening in the first place. The process needs to be automated to stay ahead of potential hackers. It needs to be predictive, not reactive. At the end of the day, there's something critically important that you need to realize about the safety and security of your business. 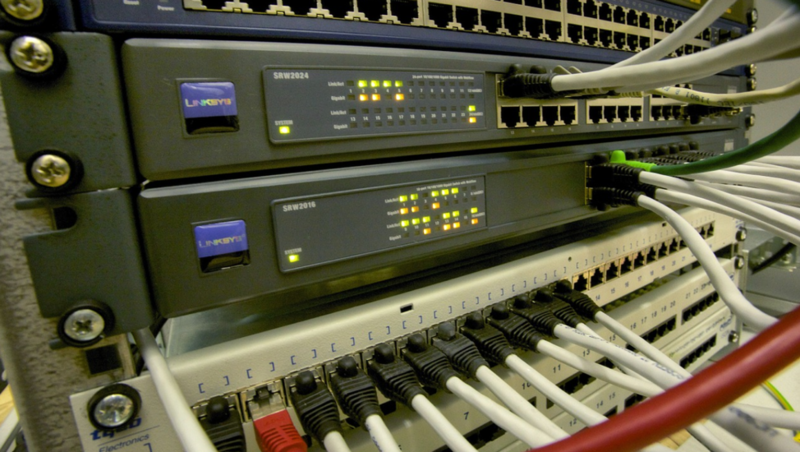 Anything that has an IP address can connect to the same infrastructure as your servers and all the rest of your equipment. To this end, anything with an IP address is also vulnerable to attack and needs to be tracked, patched, and kept up to date. Just as it no longer makes sense for an IT technician to visit each and every employee in person and go through each individual device by hand, it also no longer makes sense to focus only on computers and networking equipment. It's everything. And you need a centralized, cloud-based solution to manage it all. Because if you don't, you're just leaving the door wide open for potential disaster. Ready to learn more about digital transformation in 2019? Learn about how IoT plays a role in cybersecurity trends in the coming year. 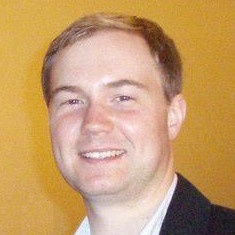 Zac Johnson is the founder of Blogging.org, and has more than 20 years of experience in the world of online marketing and branding.